The good news is timely releases of stored water from reservoirs like Lake Roosevelt behind Grand Coulee Dam kept stream levels up and water temperatures down. That helped young salmon migrate to the ocean and adults return home to spawn. Overall, 2.3 million mature salmon passed through Bonneville Dam, making it the second-strongest year on record for the entire Columbia Basin. The return numbers were positive upstream as well. According to the East Oregonian, Pendleton, a record number of fall Chinook salmon swam past McNary Dam just south of the TriCities to spawning grounds at Hanford Reach, the Snake River and Yakima Basin. In total, more than 456,000 were counted, breaking the facility's previous high of 454,991 set in 2013. Above the reservoirs, however, the record low mountain snow pack -- less than 10 percent of normal -- and a dry spring and summer took its toll. Unseasonably low and warmer water all but decimated some endangered Snake River sockeye. The good news is fisheries biologists were able to release 600 hatchery sockeye into Idaho's Redfish and Pettit lakes to spawn naturally. Those lakes are important indicators of healthy salmon runs. In 1992, only a single male sockeye salmon, dubbed "Lonesome Larry," managed to swim 900 miles from the mouth of the Columbia River to Redfish Lake in the Sawtooth Mountains. By 2010, the Idaho Dept. of Fish and Game reported that 1,300 sockeye returned to Redfish largely thanks to restoration efforts. The Columbia and its tributaries are important to our Northwest way of life, where farming and fishing have historically been major parts of our economy. Washington's Dept. of Commerce reports our state's 39,500 farms grow and ship 300 different crops, ranking second in the nation. Food and beverage production supports 131,000 jobs in Washington State, which is the leading producer of apples, sweet cherries, pears, raspberries and hops in the United States. Washington is well-known for aerospace and high tech manufacturing, but too often, the economic impact of fishing is lost. The state's Dept. of Fish and Wildlife (WDFW) reported 800,000 fishing licenses were sold and anglers collectively spent 10 million days fishing this year. Fishermen buy boats, fishing gear, fuel, beverages and food, especially in rural areas. WDFW estimated that commercial and recreational fishing supported an estimated 16,374 jobs and $540 million in personal income in 2006. More importantly, our economic opportunities increase when fish returns are plentiful. The American Sportsfishing Association (ASA) figures that for every 100,000 pounds landed there are 210 recreational and 4.5 commercial fishing jobs created. The good news is tempered by reality. Just as agricultural production is cyclical, so is fishing. However, Pacific Northwest electric ratepayers have invested billions over the last 30 years to modify dams, restore habitat, improved water quality and increase salmon and steelhead runs. Those investments are paying off. For example, the Bonneville Power Administration is encouraged by the success of recent projects at McNary Dam where they divert juvenile fish into bypass channels to provide better protection from predators. Fortunately, this year river managers were able to apply the knowledge and experience they have gained over the last decades. 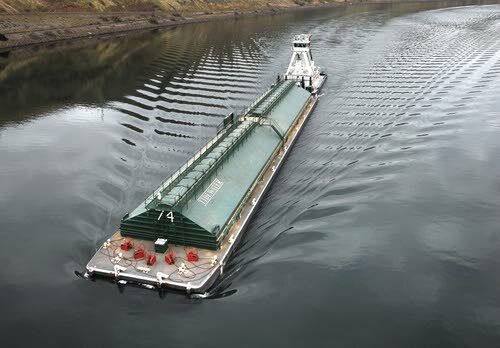 They released enough water into rivers, particularly the Columbia and Snake, to keep tugs and barges moving and supply enough water for fish, farmers, households, business, industry, boating and community water systems. That has been good for our state, particularly many rural communities that depend on agriculture and fishing for their livelihoods. While salmon restoration is a work in progress, the 2015 returns are a nice Christmas present! Don Brunell is a business analyst, writer and columnist. He retired as president of the Association of Washington Business, the state's oldest and largest business organization, and now lives in Vancouver.